The modern businessman of the information age takes advantage of all the tools and tricks available to make work more efficient and productive. Fortunately, there are plenty of consumer tech and apparel to choose from nowadays. 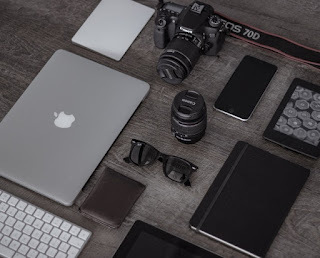 Below is a curated selection of the best gadgets and accessories that any modern businessman will surely find useful. For the traveling and commuting businessman, having theft-secure bags and luggage are a necessity. Look for the ones that are weather-sealed, splashproof, and have additional locking and security mechanisms. A protective case or sleeve should be part of your initial gadget purchases whenever possible. This is especially important for Apple enthusiasts, as those products are generally more expensive. A rugged iPhone shell and a sturdy MacBook Air case should do the trick. Make sure that your gadgets have a backup power source by getting a power bank. Look for offerings from the more reputable brands, as you really don’t want to tempt fate with your precious technology on the line. The higher-capacity units are usually more expensive but are worth every penny, especially when you’re loaded with tech. There will be times when you can’t take out your laptop. For these situations, a handy tablet, or e-reader, is very nifty. Having a portable entertainment device is a boon, especially for long commutes or travels. Secure your company’s data by storing it in encrypted flash drives and external drives. These storage drives can only be accessed by a passcode and usually have antimalware and antivirus features for added protection. For a businessman or an entrepreneur, having no Wi-Fi or mobile signal is not an option. You can prepare for these scenarios by getting a portable wireless router and a cell phone signal booster kit. When your livelihood or profession is at stake, these gadgets are well worth the investment. Here’s another gadget that’s extremely useful in daily life. Drown out noise with these headphones, relax, and focus on the more important things. This is a great gadget for commuters. Noise-canceling headphones can cost a pretty penny, but you don’t really have to go overboard in getting the latest and greatest model. Settle for a reliable midrange unit instead. A mini projector enables you to set up presentations on the fly, anywhere you want to. They used to be expensive a few years ago, but nowadays, they’re widely available and much more affordable. Leave your original charger at home. Then get one for your office bag and another for your travel pack. You’ll have plenty of spares to go around, in case one breaks down. Electrical failure and voltage spikes can easily wreck your fragile gadgets. You’ll want all your chargers and electronics to be connected to surge protectors at all times. The last thing you want is to be caught off guard with a fried smartphone or tablet during a hectic period.